Two years, a blog and a book deal later, Sandra Reynolds has increased her food budget to a modest $120 per week. However, unlike the Australian Women’s Weekly, she isn’t cowed by her limitations – ‘Just because you are on a budget doesn’t mean you have to eat a restricted diet’ – and her recipes from both blog and book are a testament to this philosophy. Her book, The $120 Food Challenge, begins with a ‘Before you cook’ chapter, which will please clever cooks who found the jumble of tips, tidbits and recipes in Kate and Suzanne Gibbs’ The Thrifty Kitchen too chaotic. In Reynolds’ book, there’s notes on budgeting, menu planning (with actual fortnightly plans based on recipes), what to stock in the pantry, going shopping, etc. Her advice is much more specific than the usual catchcry ‘buy in season, buy in bulk’. For instance, while many budget-orientated books do bang about stocking this or that product, The $120 Food Challenge groups pantry items into Basics, Fillers, Flavours, and Add-Ons, with Add-Ons being ‘convenient, but…highly priced food that add considerably to your food bill. Choose wisely’. 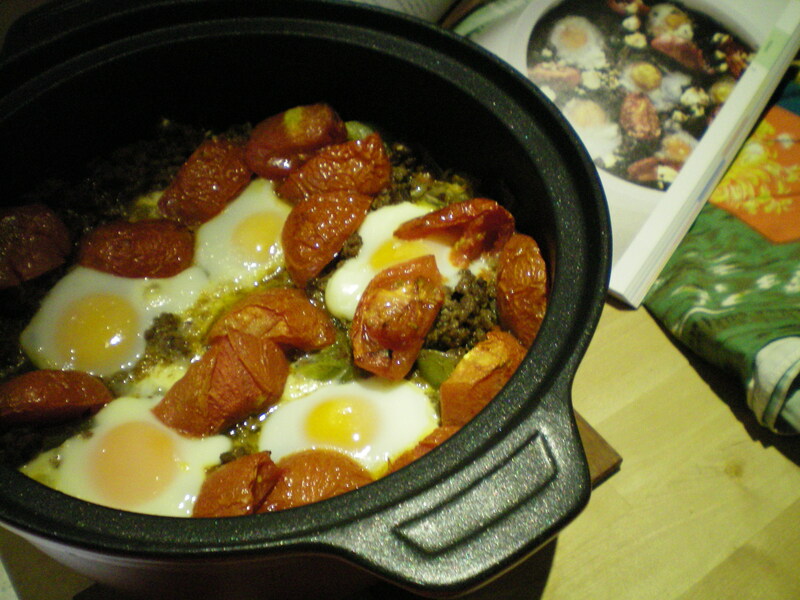 The book’s layout encourages the use of seasonal produce. ‘If it’s in season, it’s cheap,’ Reynolds declares. ‘It really is as simple as that. If you commit to buying only what is in season, you’ll not only save money, you’ll have a greater variety in your diet over the course of the year’. As well as making the most of this wide range of local produce, Reynolds also capitalises on Australia’s multicultural influences. It was great being able to make Vietnamese chicken meatballs for one night and then follow up with sweet potato, dill and feta tart, slow-roasted pork belly, and Turkish baked eggs. Baked goods and sweet treats are shepherded into a separate section. 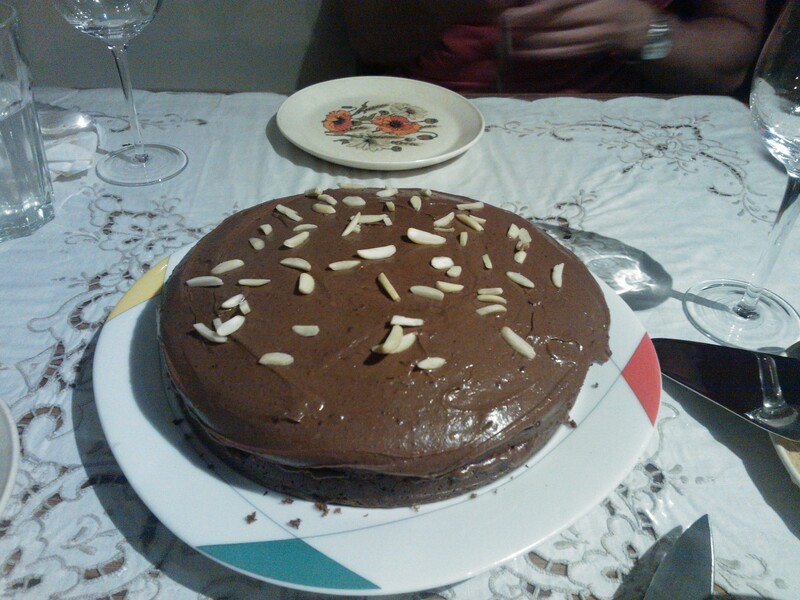 These too are different from the norm: her chocolate Nutella cake lacks the ubiquitous butter/vegetable oil but still manages to stay extremely moist. Being a cookbook that espouses careful planning and the use of the cheapest (read ‘raw’, ‘unrefined’, or ‘the opposite of premade’) ingredients, The $120 Food Challenge often has recipes which require a lot of…tears. Dried beans are used instead of the canned alternative. Short crust pastry and pizza dough are made from scratch. This is okay, but it would be nice to be able to determine approximate preparation and cooking times at the start of the recipe, instead of discovering halfway that those Boston baked beans are going to take a year and a day to cook. 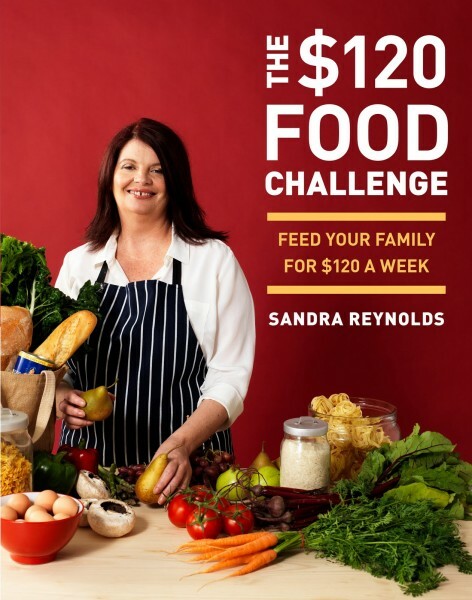 Overall, Sandra Reynolds’ The $120 Food Challenge is an adventurous yet practical addition to the clever cook’s shelf. With some easy-to-find notes on preparation/cooking times, storage and/or reheating, it would have been indispensable, but no such luck at present. Until the next edition.